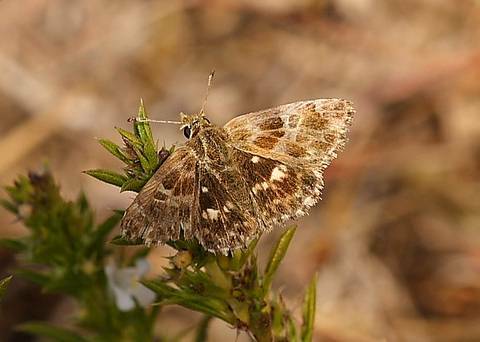 This species is found only in south-east France (where it seems to be very local) and parts of Spain and Italy. With Roger Gibbons in northern Var we were lucky to briefly observe this single female and even luckier that Roger managed to snap both surfaces before she flew away! 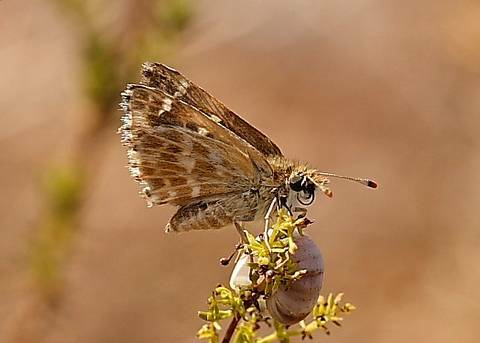 We were actually looking for the equally obscure Sage Skipper that day, but were most pleased to pick up our first ever observation of Southern Marbled Skipper instead!